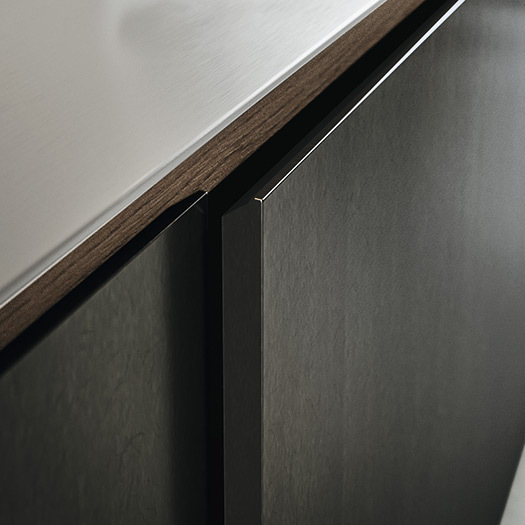 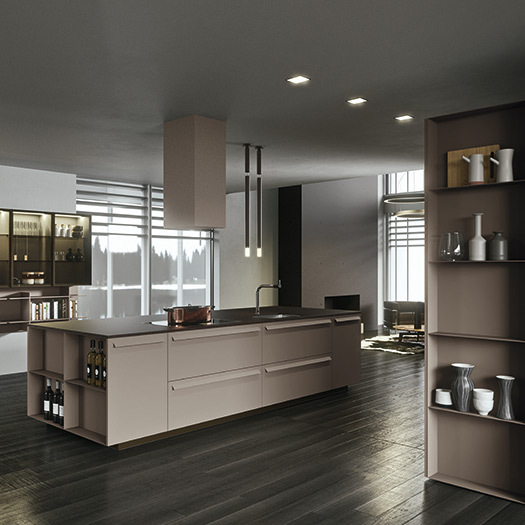 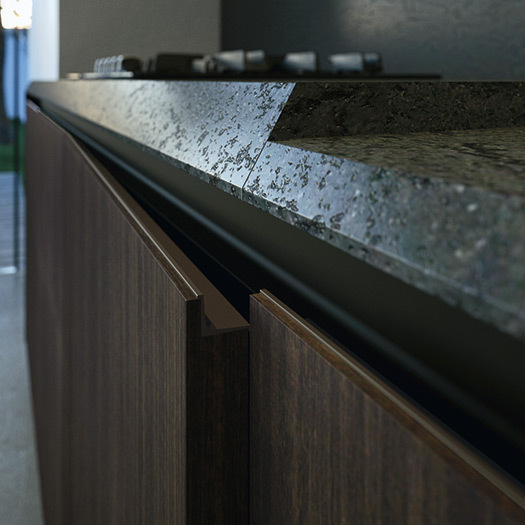 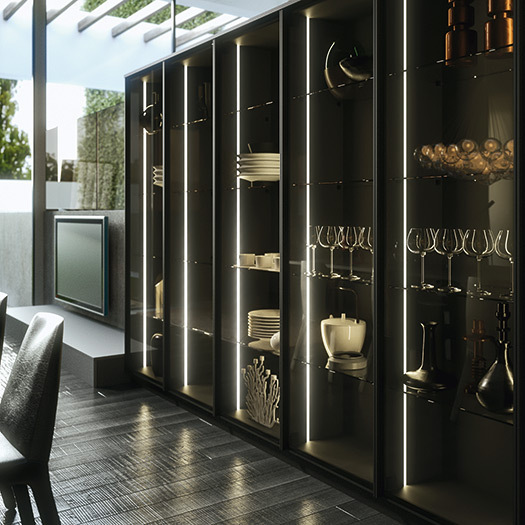 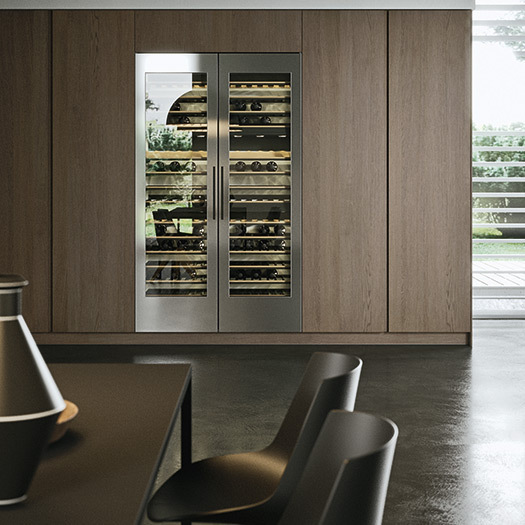 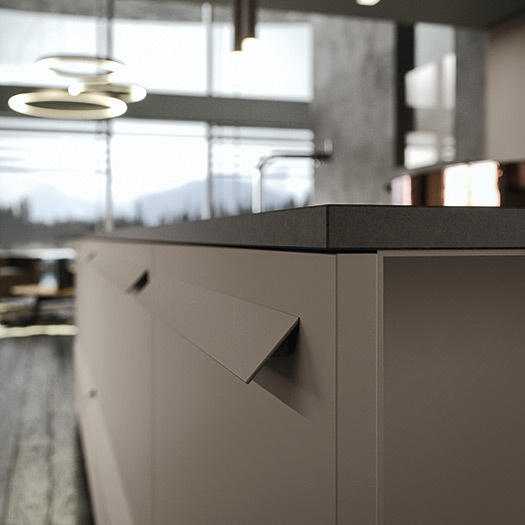 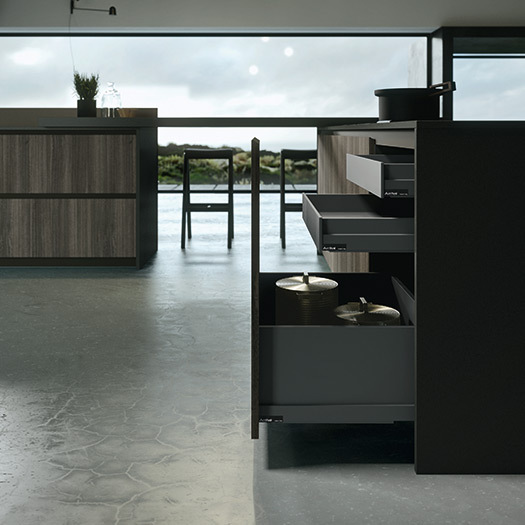 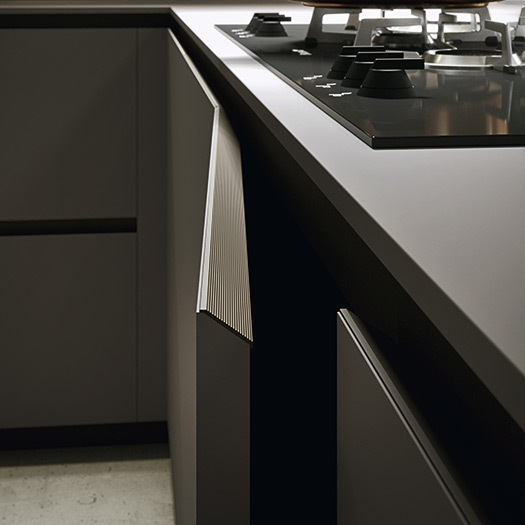 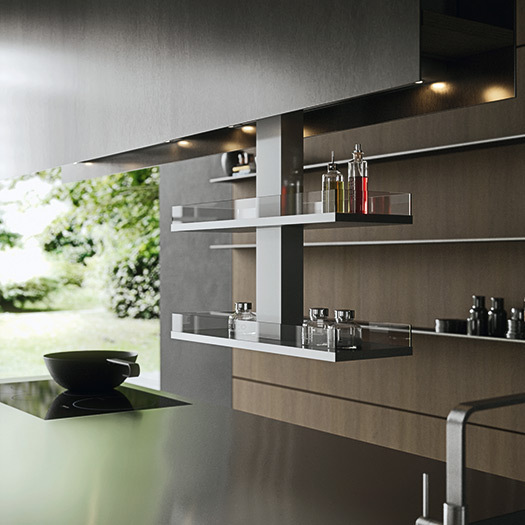 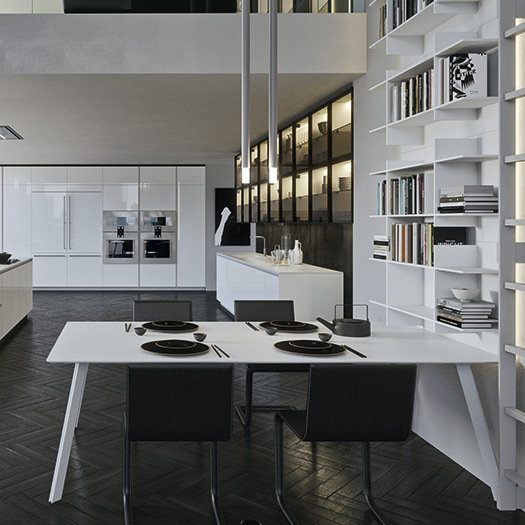 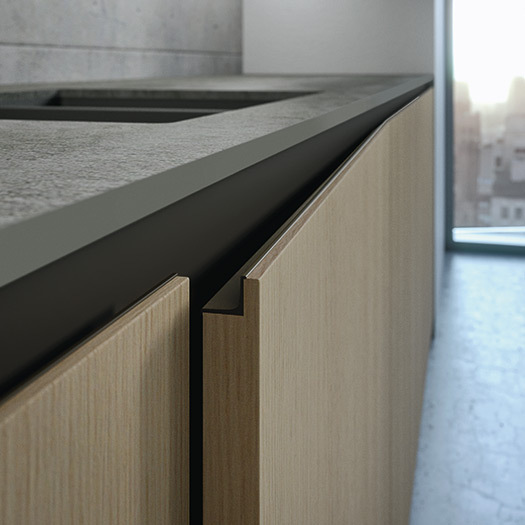 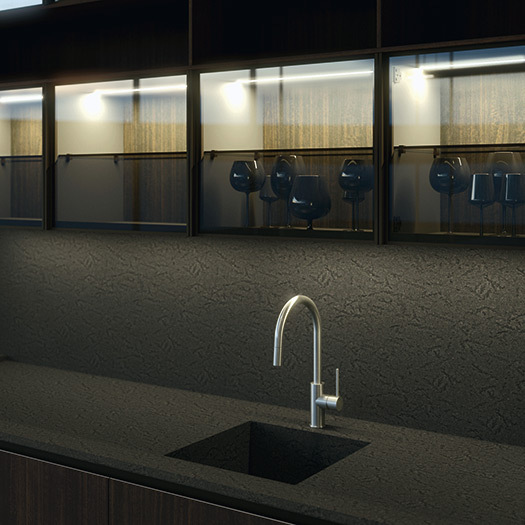 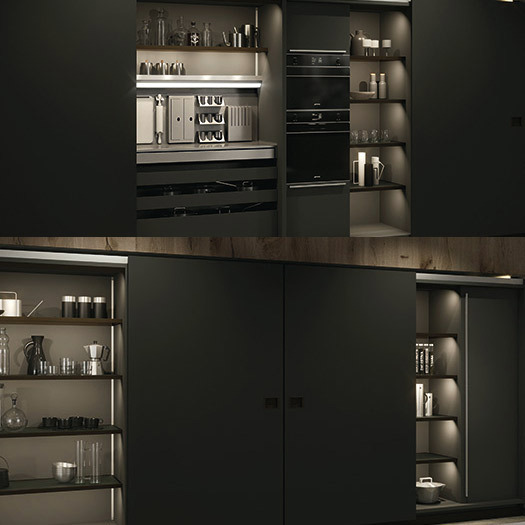 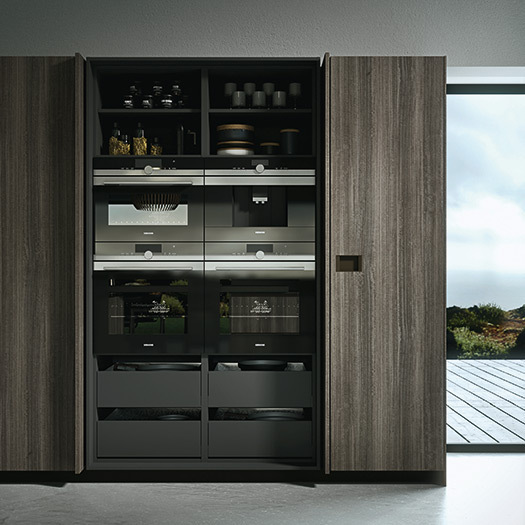 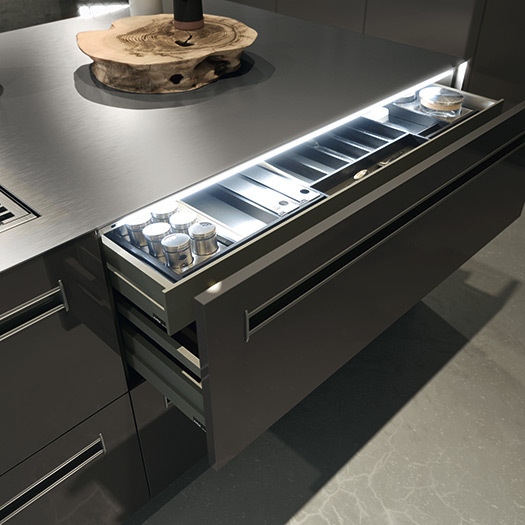 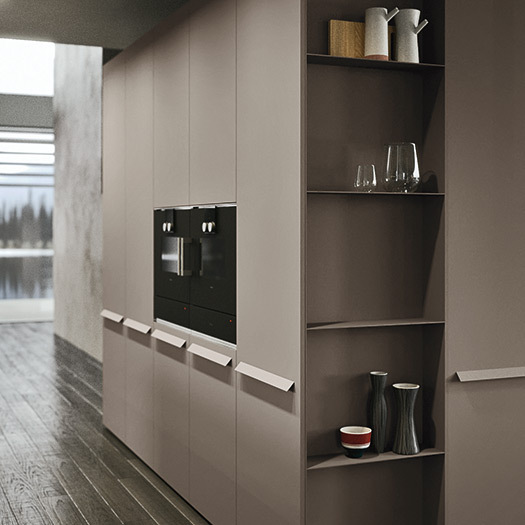 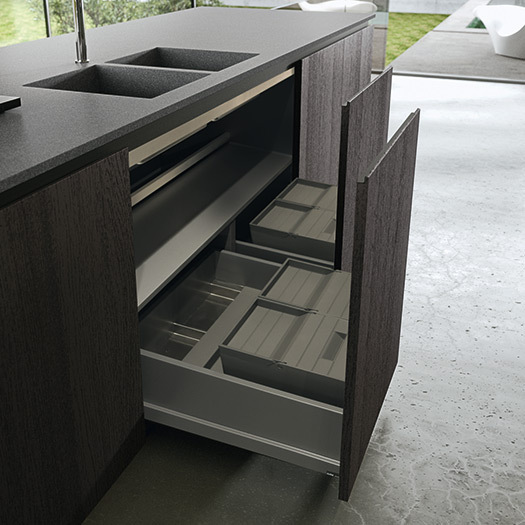 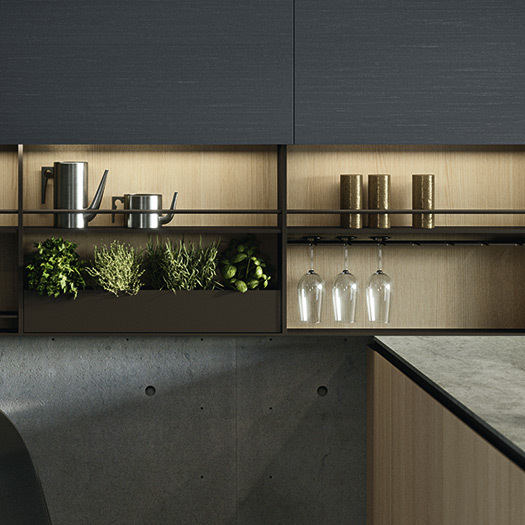 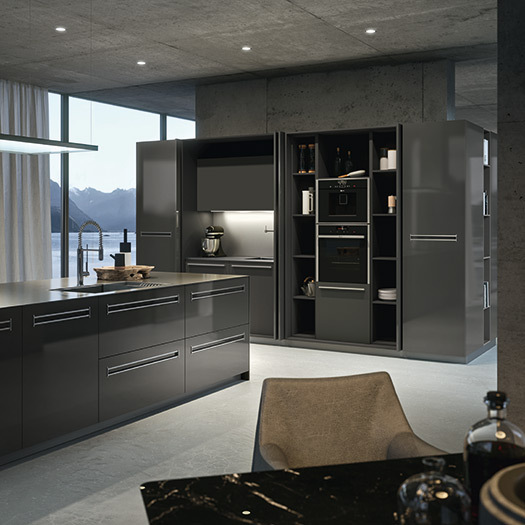 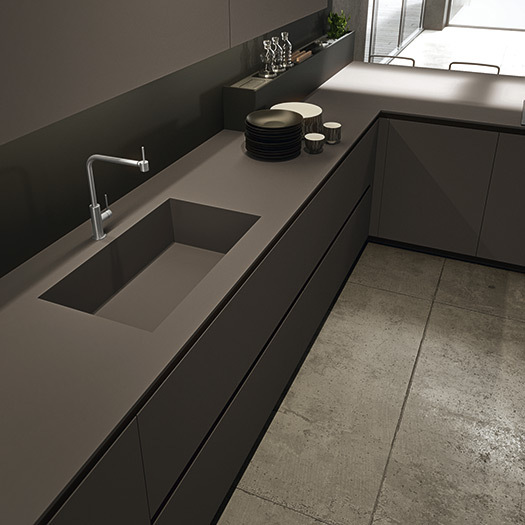 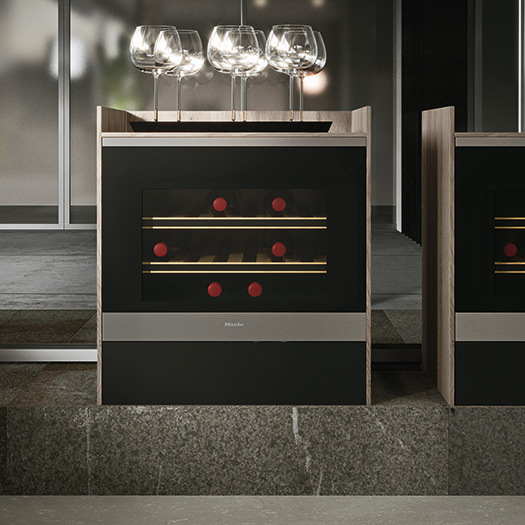 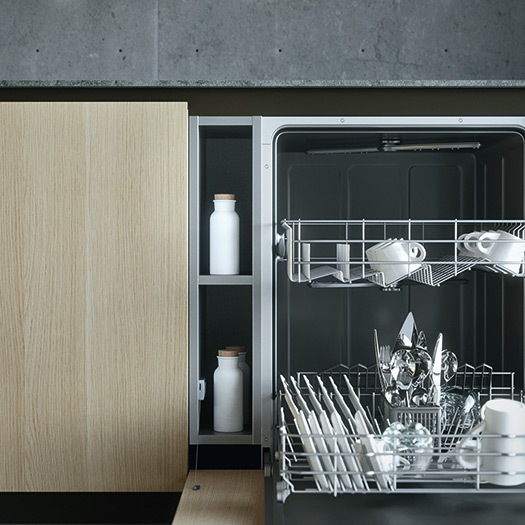 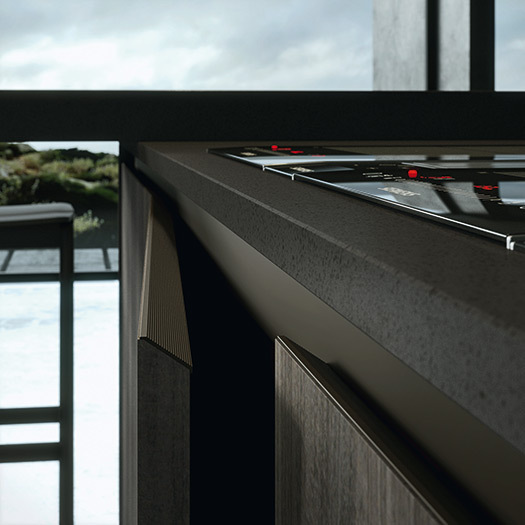 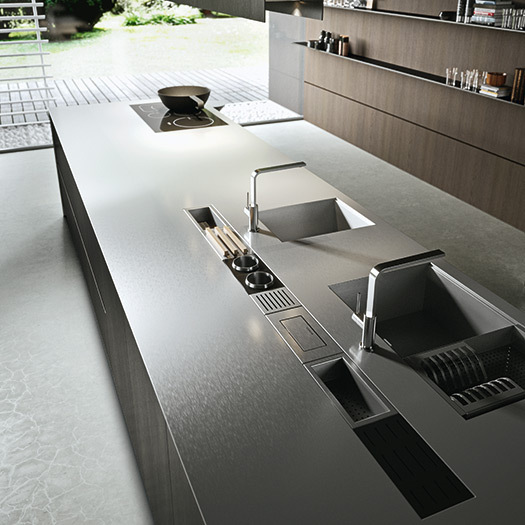 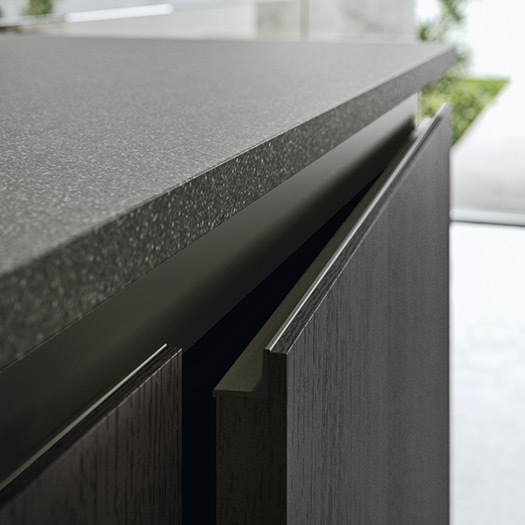 The Ak_project system allows you to choose from numerous solutions to personalise the kitchen doors. 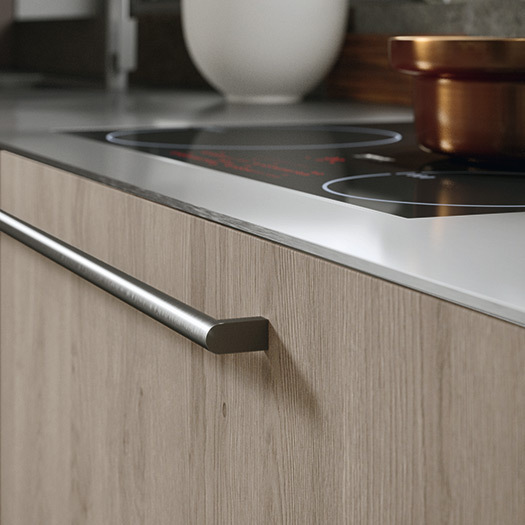 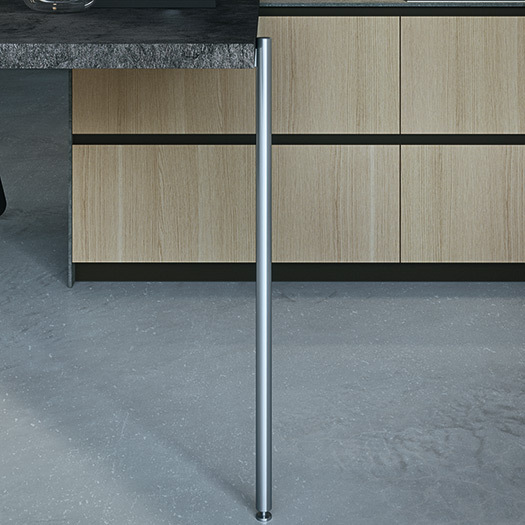 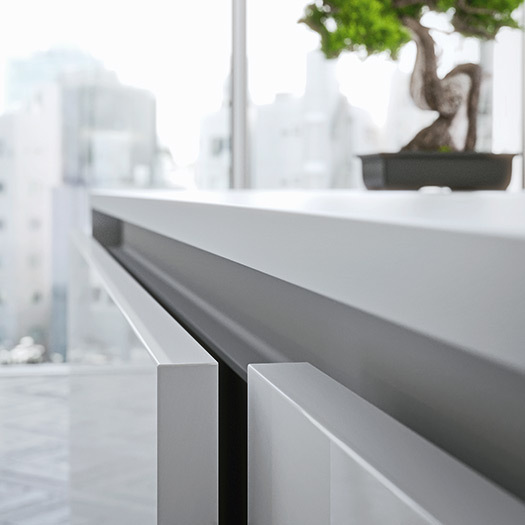 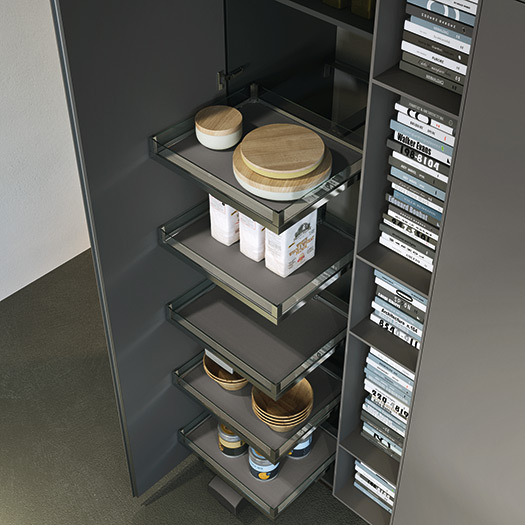 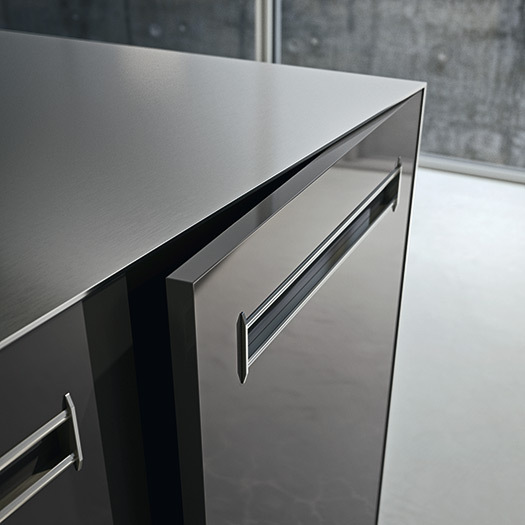 The modular rod handles, with a steel finish, ensure practical opening. 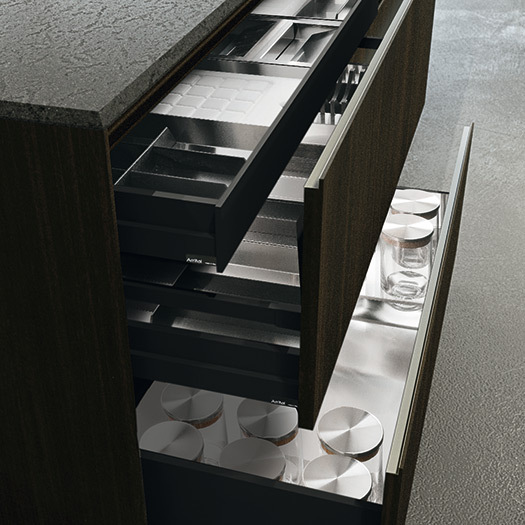 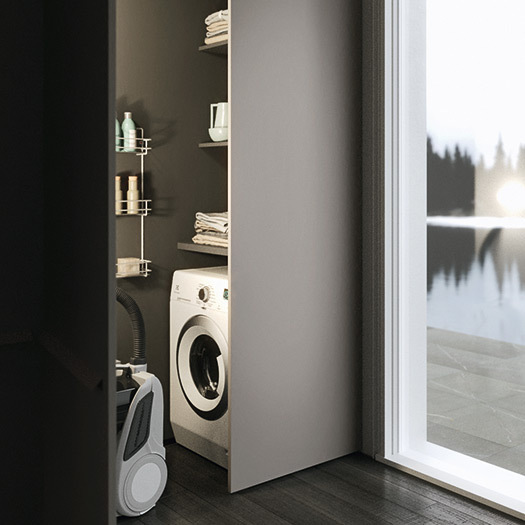 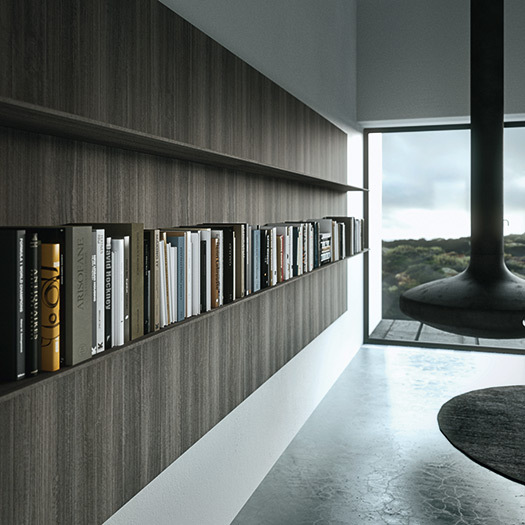 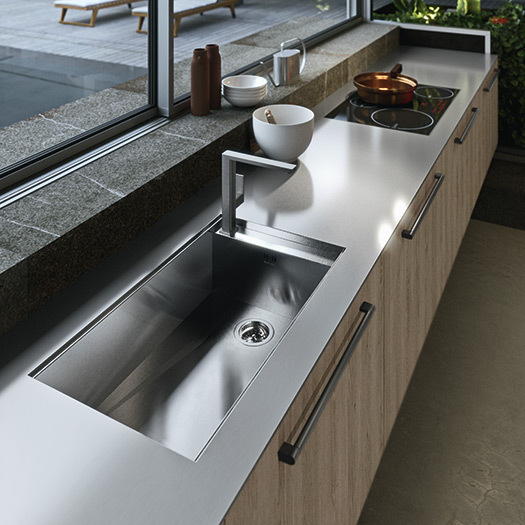 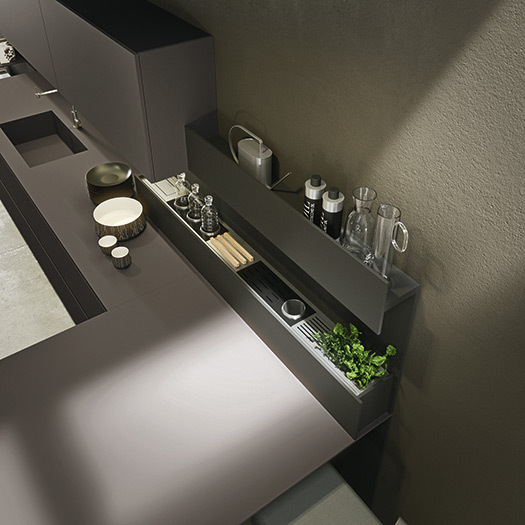 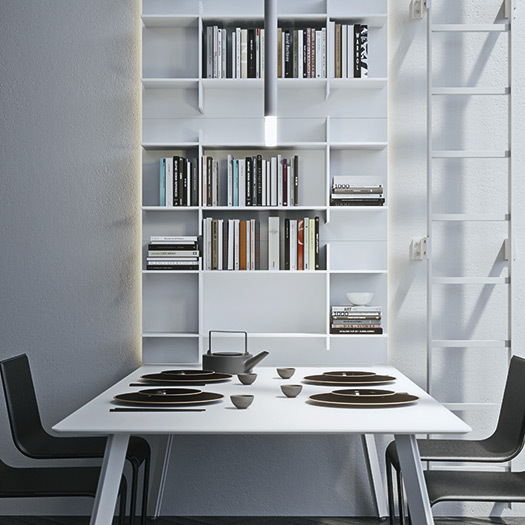 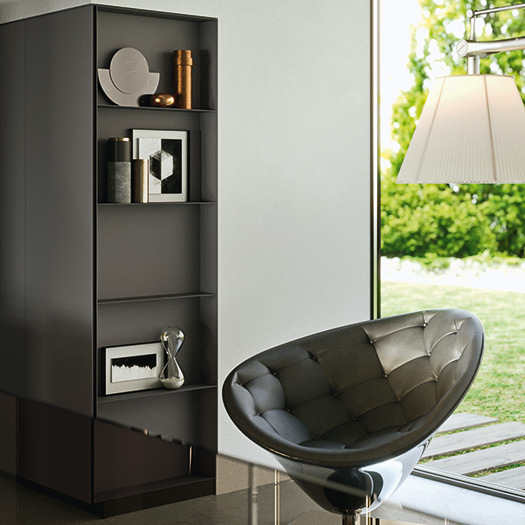 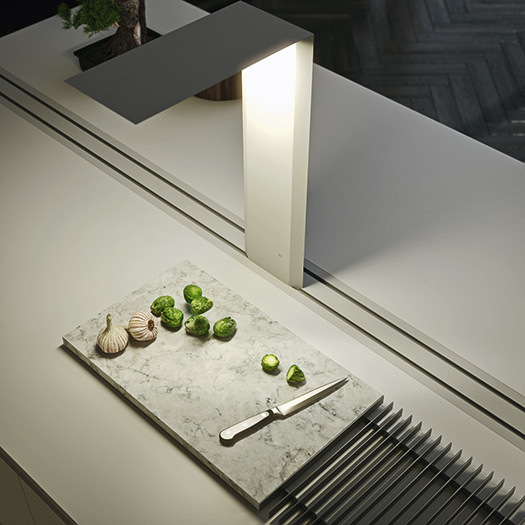 The broad range of open elements and accessories allow the development of unique design solutions.